Welcome to Shaum Construction Inc. of Engadine Michigan! 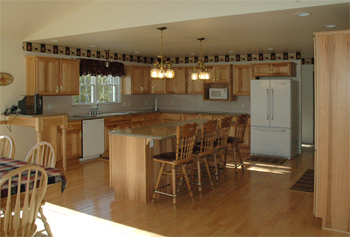 Shaum Construction is a small construction company that specializes in Upper Michigan Custom Homes and remodeling. We specialize in helping you envision your new home and providing our clients with a quality "Turn-Key" solution. While many Upper Peninsula Contractors offer similar services to ours, few have over 4 decades of experience building in the beautiful but harsh environment of Michigan’s Upper Peninsula. 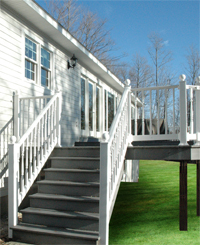 Each project is truly custom and tailored to the vision and desires of each customer. We encourage you to visit our entire website and learn about our company, history, testimonials, services, photo gallery, and our service area. Let us help you envision your future home or project and make it a reality. Photo Gallery of Homes & Projects. "Thanks for the great job you did for us in constructing our new home. We are very pleased with the finished product! Not only was your craftsmanship of the highest quality, but your integrity and work ethics were tops! It was wonderful to be able to leave everything in your hands and to know we didn’t have to worry about what was being done. "—Doris T.
Visit our About Us page for details on our company. "I always look forward to visiting our beautiful new place. Thanks for your hard work, your imagination and creativity. You’re great! 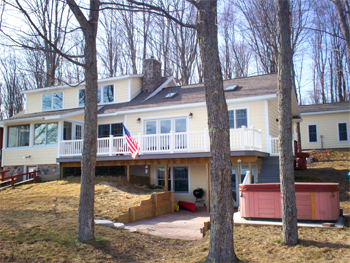 "—Julie H.
"Many years ago, when we wanted to remodel our old cabin, we were referred to Jim Shaum and Shaum Construction. We were told that he was the permier builder in this area; and, indeed, he proved himself to be. When, about 6 years ago, we decided it was time to replace our old cabin with a new year-round structure..."
We help make your new custom home a reality for you and many generations to come. We are environmentally sound and work with energy efficient materials, maximize your home's potential with regards to its surroundings. Shaum Construction would like to thank you in advance for browsing our website for Upper Peninsula Construction Services. We look forward to hearing from you and wish you the best.